We’ve got a live one. What is that all about? 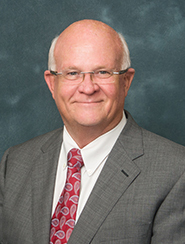 Baxley wants school districts to go beyond the basic standards. He wants to allow school districts to raise the bar, so the speak, and challenge schools and their students with more rigorous standards. Well, that’s what Baxley is trying to sell us. But we can see what he’s really after by reading further into the bill. Go to page three, lines 62 to 66. Where did this bill come from? Baxley clearly is working closely with the creationist, climate-change-denying group Florida Citizens Alliance. They had announced last month they were working on this bill. And they found a wonderful sponsor for their bill. Baxley has a history of disliking evolution lessons in schools. He was a representative in the state house back in 2005 when he sponsored an infamous bill titled The Academic Freedom Bill of Rights. That bill would have prevented “biased indoctrination” by “the classroom dictator.” In defense of that bill he related an upsetting personal story of a Florida State University professor ranting against creationism in class. You can read more about that bill in chapter 8 of my book Going Ape: Florida’s Battles over Evolution in the Classroom. And that’s not all. 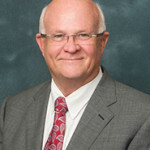 Baxley also sponsored last session’s Religious Liberties in Schools bill that successfully passed into Florida law. This is developing into an all out war against science education in Florida. New laws about the challenging of textbooks (see our Instructional Materials bills ’17 blog category) and religious liberties (see our Religious Liberties Act ’17 blog category) are meant to chip away at classroom science instruction and now this newly proposed bill is trying to blast a hole right through its heart. ← Nature and Science Friday all in one amazing week!